Unipole Outdoor Advertising at Chawla lights Near Sector-61 Mohali, Punjab – One of the most busiest location. 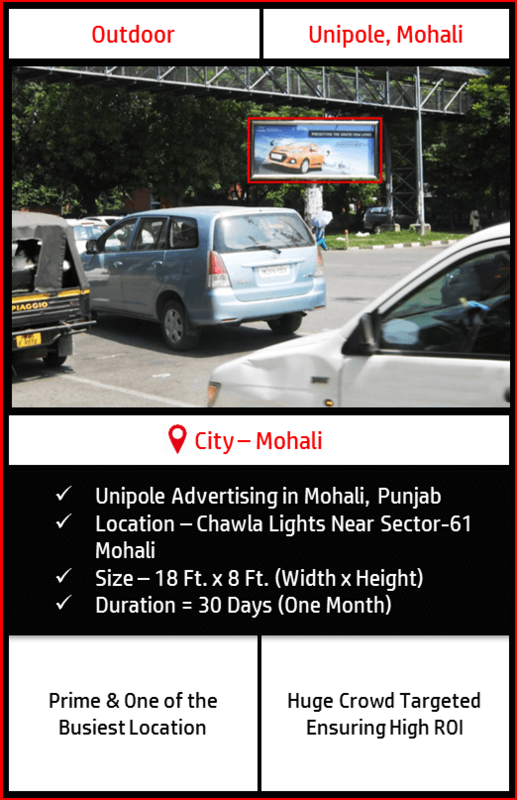 Unipole sized 18 Ft. x 8 Ft. (H x W) at a prime location with 30 days duration. Huge crowd targeted, hence highly recommended by BMK. Dimensions (Height x Width) 18 Ft. (H) x 8 Ft. (W) = 144 Sq. Ft.